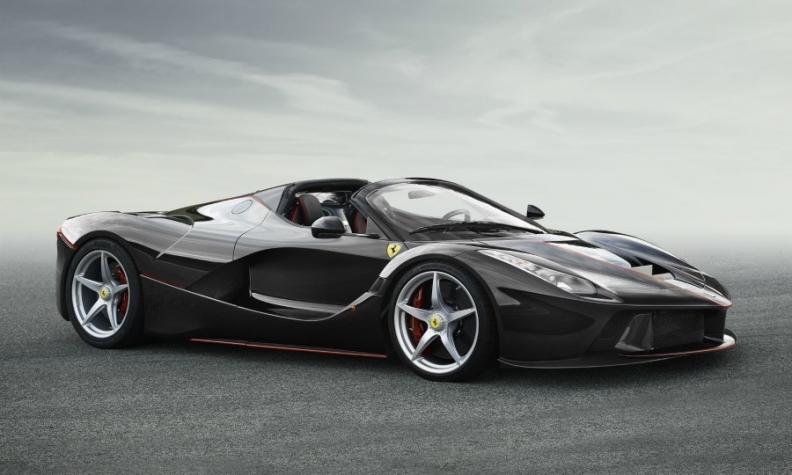 Ferrari is relying on special-edition cars such as the LaFerrari Aperta convertible to drive growth. MILAN -- Ferrari's second-quarter profit jumped 24 percent as the Italian supercar maker benefited from demand for its special editions, including the $2.1 million LaFerrari Aperta convertible, while preparing to expand beyond sports cars. Adjusted earnings before interest, taxes, depreciation and amortization rose to 270 million euros ($320 million) from 217 million euros a year earlier, Ferrari said in a statement on Wednesday, beating the average 262 million-euro estimate of six analysts surveyed by Bloomberg. The carmaker reiterated its target for 2017 profit on that basis to exceed 950 million euros. CEO Sergio Marchionne said in March that the figure could reach more than 1 billion euros. Ferrari is considering adding a roomy four-seat "utility vehicle" as part of a major expansion push beyond its traditional supercar niche in a bid to double profit by 2022, people familiar with the matter said this week. A five-year plan that includes the model would also push annual deliveries beyond a self-imposed limit of 10,000 cars, according to the people. The company on Wednesday stuck to a target to boost deliveries this year to 8,400 vehicles. The shares fell as much as 3.3 percent from Tuesday's record 92.80 euros and were trading down 2.6 percent as of 11:37 CET in Milan. The brand, which moved its legal headquarters to the Netherlands when it was spun off from Fiat Chrysler Automobiles last year, has already outlined plans to bring out more limited-edition models this year to celebrate its 70th anniversary. Marchionne, 65, is set to present his final business strategy in early 2018 for both Ferrari and Fiat Chrysler, which he also runs as CEO. He intends to retire from the two manufacturers in coming years.